The closest planet to the Sun, Mercury is also the smallest of the telluric or Earth-like planets. Its crater-studded surface is similar in many respects to that of the Moon, forming a desert of dust and rocks where temperatures alternate between scorching hot and freezing cold. Mercury's lack of internal activity means it has been a dead planet for at least 3.6 billion years. 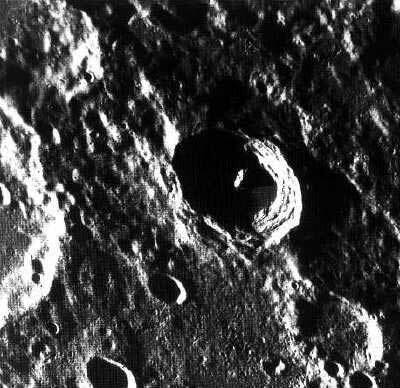 One of Mercury’s unique geological features is its massive cliffs or scarps, which formed as the planet cooled. These scarps can be anywhere from 1 to 3 kilometres high and may stretch for hundreds of kilometres. Slightly larger than the Moon, Mercury is a solid sphere formed around a large iron-rich core that makes up 42% of the planet’s volume and nearly 80% of its mass. This could explain Mercury’s particularly high density, making it an exception to the general rule that the bigger a telluric planet is, the greater its density. Etymology: Mercury was the Roman god of merchants and travellers. Discovered: In ancient times, thanks to its star-like brightness. Distinctive feature: A solar day on Mercury lasts two Mercurian years! This is because Mercury rotates very slowly on its own axis, one of its solar days lasting approximately 6 Earth months. Typical one-way journey time to Mercury using current technologies: 5 years. it has the biggest day-to-night temperature variation in our solar system—from 430°C to –210°C. meteorite impacts have left the surface riddled with craters of varying sizes. The largest of these, Caloris Basin, is 1,300 kilometres across and was blasted out by a 100-kilometre-wide asteroid colliding with the planet.